Bulldogs goalkeeper Bobby Thalman records 10 saves as Bobcats fall, 1-0. 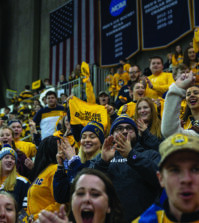 Despite numerous scoring chances throughout the end of the second half, and five shots by team scoring leader Philip Suprise, Quinnipiac fell to Yale Friday afternoon, 1-0. Senior William Daniels also tallied five shots on the day, and midfielder Robbie McLarney was right behind with four. The lone goal of the contest came off the foot of Bulldog Scott Armbrust in the 18th minute. Ambrust charged down the left side of the field past two defenders and drilled the ball off the crossbar and in for the 1-0 lead. Yet, Quinnipiac (2-3) had numerous scoring chances throughout the following halves, and provided the defense to hold Yale in check. 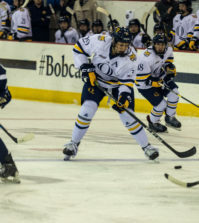 The Bobcats had their best scoring chance of the game late in the second half, when Suprise slipped past multiple defenders to take a shot on goal. Surprise ripped a shot at Yale keeper Bobby Thalman, who proceeded to give up a rebound to Ola Ogunjobi on an open goal. Ogunjobi shot wide, and Yale proceeded to kick the ball downfield. The Bobcats also recorded scoring chances in the 34th, 41st, and 74th minutes of play. Quinnipiac takes the next four days off before traveling to Hartford on Sept. 19. Kickoff is slated for 7 p.m.